Interested in becoming a cosmetic model on one our training days in Dubai? We are looking for both male and female models for our supervised sessions. All our trainers are very experienced practitioners that run their own clinics. The delegates on the day would have completed their prior theoretical material and will need to put this into practice. As such we are looking for models keen to receive discounted dermal filler treatments, for the purpose of teaching our delegates. Our practitioners will be up close and supervising all treatments, so you’re in safe hands! We use the same high-quality products on our training days that we do in our clinics. We use Juvederm Intraline and Radiesse dermal fillers and Allergan “Botox” Botulinum Toxin. We inject standard doses of Botulinum Toxin for all Botox treatments. Prices quoted for Dermal Fillers are for 1ml syringes. 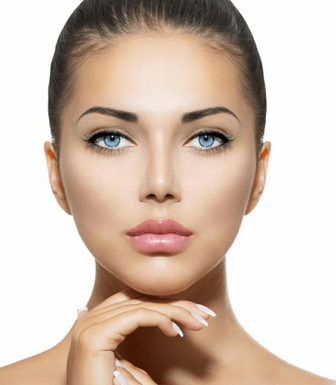 For Lip Filler, Cheek Filler, Nasolabial Line Filler and Marionette Filler it is possible to purchase a 2nd 1ml syringe at the time of booking at our standard model prices. We ask for full payment upon booking are unable to hold treatment spaces until payment has been made. This helps us to ensure the smooth running of our training days. All of our appointments are usually in the afternoon between 12.30pm and 5pm. You will be contacted after you have booked and paid for your treatment with a specific appointment time. and you will be with us for around 1 hour. From time to time we do post photos and videos from training days onto our social media pages and website. If you don’t want any photos/videos of you published, please inform our co-ordinator on the day.